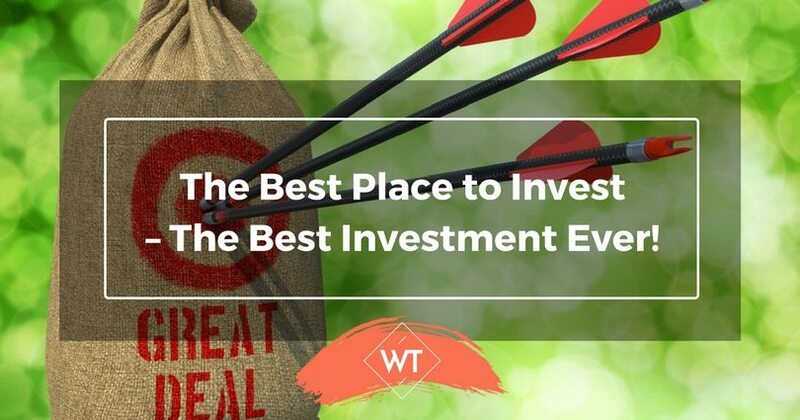 The Best Place to Invest – The Best Investment Ever! “Which is the best place to invest?” This is a question that most people have and some people tend to ask. What is the best investment ever? We all wish we knew this or hope that some gurus or experts will tell us that one secret or magic formula that can make us a millionaire or a billionaire or atleast a ‘lakhpati ‘to start with. Which is that one investment that gives the maximum return? Is it gold, equity, real estate, agri culture commodities, etc? Is it too difficult to find? Not really, because we have plenty of statistics floating around giving different answers, so obviously there is no answer to this riddle. But no precise answer or formula can guarantee success. Myth 1: Tell me which is the best investment? I will invest there. The above approach sounds very simple. But in reality even if you find the best investment you are putting all eggs in one basket. For example Gold ETFs and gold funds as a group have delivered an average of 38% returns in the last one year. If you look at the 3 year returns its just over 28% p.a. Can you bet all of your money in gold expecting that prices will go up by over 30% next year base d on past trend? Not really. We cannot simply forecast future trends using mathematical trend lines. Of course charts or graphs provide some indication but forecasts can go absolutely wrong too. Remember the disclaimer in advertisements which time and again tell you “Past performance is not an indicator of future performance”. Secondly Gold had a good rally due to economic uncertainties and issues. If these issues reduce and come to an end then Gold may not have the kind of buoyancy it had in the past. In fact equities could emerge better asset class than gold. So from asset allocation point of view you should consider equities, fixed income as well as gold, and add a few more assets if it fits within your budget and risk appetite. Are equities the best place to invest? Equities are known to provide high returns, but carry the risk of loss of principal as well as loss of returns. So blindly rushing to equities to make big bucks can leave you highly disappointed. Invest only that portion of the savings in equity which you will not require in the short term. There was a funny statement by a leading Market Expert on a TV show where he said “Put only that portion of your savings in equity, for which you are not answerable to your family”. In short any savings that will not be required in the next 3-6 months (no hard and fast rule here) can gradually move in to equity. If you think equities can give you 20-25% returns p.a., probably its true but in reality you should also be prepared for lower or zero returns plus loss of principal (partially or fully). For example: If you invest Rs.100 in a stock and sold it at Rs.120 after one year, then you made 20% return on your capital (principal). In the same case had you sold the stock at just Rs.80 then what happens? You ended up making -20% returns or rather eroded your principal by 20%. If you invest in penny stocks or speculative shares the changes of losing up to 100% cannot be ruled out. Although I’ve taken the example of equity, risk can be high in case of real estate, gold and other commodities as well. This assumption says that if you invest in government bonds or fixed deposits you are better off. Are bonds and FDs best place to invest? Are these the best investment ever? Government bonds provide returns in the region of 6.5-8% p.a. depending on tenure. Fixed deposits provide returns of around 10% p.a. currently. So these are good avenues where the returns are fixed. So should this be the best or smartest choice? Sounds good but practically when inflation is ruling at close to 9.5% your real returns are just 0.5% before tax. The post tax returns will leave you with literally nothing. Playing safe always is not the solution. In the olden days (early 90’s or earlier) this strategy worked to an extent because interest rates were in mid-high double digits and one could earn and life on interest if one had a big corpus. Today this doesn’t work unless you are sitting on several millions of surplus cash which have no use. The lesson is “no risk ….no gain”. Or probably there are no free lunches or easy ways to make money. How to invest and manage your investment portfolio? You need to do a few simple things to make sure that your portfolio of investments is in right order. You can also ensure that the value of your portfolio is preserved or rather enhanced if you follow these tips or advice. Although focus is more on equity this can be applied to other asset classes as well. When you have made some poor choice and have loses in your portfolio, its time to accept your mistake and book such loses. Its important to liquidate instead of holding on due to sentimental reasons. Liquid cash after sale can be used for better investment picks particular when market conditions are bad. You can also use such loses for claiming deduction in your tax returns (Please consult a tax advisor – the availability of such provisions is subject to applicable laws that change from time to time). You also need to keep a tab on your finances – like credit cards, loan payments, expenses, etc. Although both are separate they can be highly inter-dependant. If your daily financial needs are not met, then you have to set your house in order before you think of investments. Despite being a regular investor if you have a cash shortage in some period despite a normal job and simple lifestyle, then probably you have compromised on your emergency funds – either the emergency funds are not sufficient or you have not maintained it in the first place. So this saving fund has to serve as a bridge between your daily requirements and investments. Unless you are investing in an SIP which takes care of ups and downs, you have to be careful when you invest at very high levels. For instance some stocks were at their lifetime peaks when Sensex crossed 21 K levels in early 2008. Investing at such times leaves you with minimal upside and deep downside risk. In such situations you should commit lesser capital so that you don’t lose it all in one go. A wait, watch and act approach is safer. We have discussed this earlier, so it is quite obvious. But diversification across stocks or sectors is not enough. You have to diversify across asset classes like gold, fixed income, real estate, equity, etc. Each asset has its own good and bad cycles. If you are invested in two or more asset classes, you can find opportunities or make returns across different cycles. This should be done in detail every quarter or whenever time permits. Its almost similar to the way you service your car regularly as a preventive maintenance mechanism. This makes sure that you know what’s happening and are not caught by nasty surprises. Booking loses should be done in a timely fashion. However, booking profits can be done after some thought and analysis. If you book all your profits, then you lose the potential future benefits – both capital appreciation and income benefit. It is important to have some target return in mind where you want to exit partially. There is no hard and fast rule for this but some experts advocate that you sell a certain % of your holding when you make more than a X% of return.For instance you can sell 20% of your holding if you make 25% returns. Here the percentage or number is not important. The simple logic is you want to book some profits and take some cash home. If you don’t want to withdraw cash probably you can invest in safe avenues like Gold, fixed deposits, FMCG stocks, etc. There is no single best place to invest. This is the lesson that we have to learn and stick to. Although successful people have certain traits, qualities, etc. one must not get carried away to think that one such formula is good enough. I’m neither a guru nor an astrologer who can predict future. If you just rewind back to your childhood days when your parents or grandparents told you the story of the “Tortoise and the Rabbit” you will know the basic lessons on patience, being slow, steady, etc. 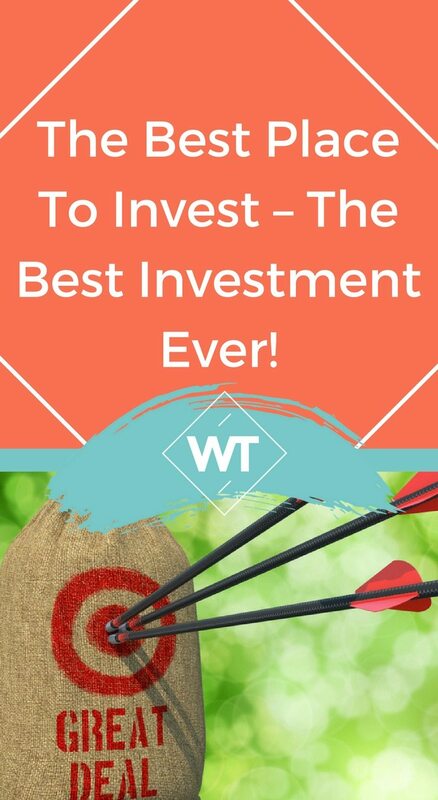 The basic lesson is to start early so you have the time to go through slowly and build wealth across different cycles and emerge as a consistent winner year after year.